Here’s a great mantra. This is one I am personally using at the moment. I came to a big awareness last week about responsibility. Long story short, turns out, my current pattern of not taking responsibility stems from a feeling of not feeling “enough” of something. Good enough, Brave enough, smart enough and the list goes on. It’s a big awareness because this, I have since realised is the under current of almost every situation across work, family, relationships (especially with myself) and even money and spirituality. Enter the Monday Mantra Enough Series. Week one is all about feeling good enough. Good enough to get that new job, good enough to put yourself out there, good enough to achieve your goals, good enough to go after your goals, good enough to be the best in your field and the list goes on. 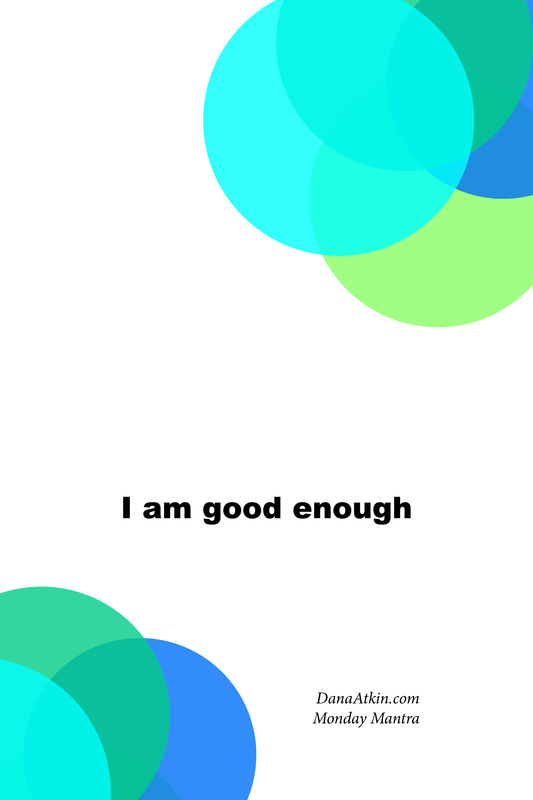 Tell me what you’re focussing on being “good enough” for in the comments below and remember to save the image to your phone and repeat the mantra as you open unlock your phone and when you see the mantra on your home screen.